Tutbury Castle is a largely ruinous medievil castle in Staffordshire and is a Grade 1 listed building which is currently owned by the Dutchy of Lancaster and leased by Lesley Smith who has appeared on Living TV's Most Haunted. 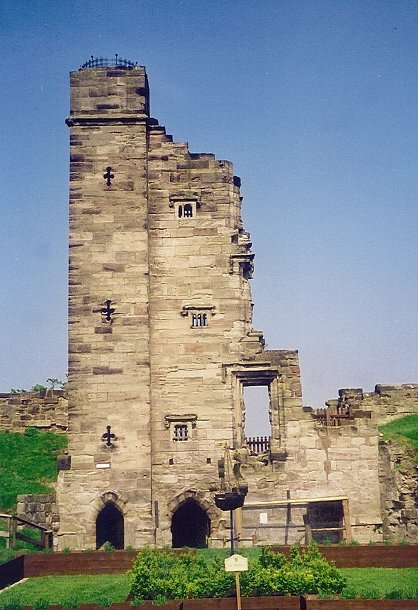 The castle was famously the headquarters of Henry De Ferrers and was destroyed in 1264 by Prince Edward after Robert De Ferrers' (son of William) rebellion. There was a further rebellion in 1269 during which the building and land were given to Edmund Crouchback. The ruins of the castle which currently stand date back to the 14th and 15th century, alongside a 12th century chapel which is also nearby. A regular occurrence at the castle is the noise of drumming near the north tower. 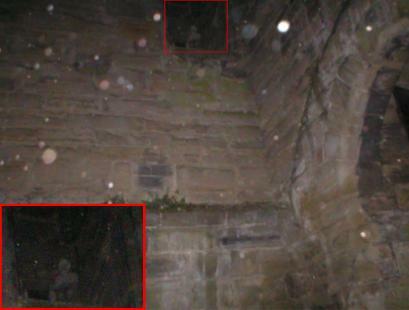 This is reportedly the ghost of a drummer boy who was killed by an arrow to the head whilst drumming to alert people that the castle was under attack. The king's bedchamber is another highly active place with numerous accounts of orbs, strange glimmering lights and also the feeling that there's someone holding your hand. Could this be the ghost of a little girl, believed to be called Ellie? Could this photograph (below) of a mysterious shape be her too?